rhetoric | English, ESL -- and more! Just the most marvellous book about writing! There are so many to choose from, but let me suggest that teachers, senior students, and anyone interested in writing — even (especially?) bloggers — ought not to walk past Mark Tredinnick’s The Little Red Writing Book (Sydney, UNSW Press, 2006) without buying it. You will find page after page of sound advice and common sense, delivered with freshness and always with good humour, and plenty of exercises, none of them stodgy. But it is never shallow. Clearly much thought, reading and practice have gone into its making. Novelist and creative writing teacher Nicholas Jose says: “This is a book for every writer’s backpack.” I agree. Writing is the art of making an utterance perfectly natural through the perfectly unnatural process of making every word and phrase again and again, cutting here and adding there, until it is just so. It is contrived spontaneity. What a writer wants is something just like speech only more compressed, more melodic,more economical, more balanced, more precise. Every sentence names something and says something about it. This is the secret life of the sentence — the short story it tells. If that story is clearly told, the sentence will work; if not, it will not. Why is it so hard to convince ourselves that writing is just a kind of talking on paper? I think it’s because we get told the opposite so early and so often. We learn, at home, on our way through school, and then at work, that writing is supposed to be different from speaking — less voiced, less plain, more impersonal, more circumspect, more polysyllabic, smarter, more proper all round. We get drummed out of us the one piece of wisdom that would help us all write better. This all began the day someone told you to use the passive voice when expressing conclusions in an essay. When they told you never to write ‘I’ in your history and science papers — in any papers. That day happened the other week to my daughter. It’s the day you learn that you don’t belong anymore in your writing. The day when it all starts going wrong. Remember that day? What they were trying to teach you was the virtue of disinterested inquiry and dispassionate expression. But they may not have made that clear. Linguists — indeed my lecturers in the Grad Cert TESOL at UTS in 1998 — will cavil at much of that. And indeed it is true there is such a thing as a speech -writing continuum, there are differences, and there are all kinds of register variations between everyday speech and writing for specific purposes in particular contexts and communities of discourse. ESL teachers especially must often highlight such matters. Yet I do think Tredinnick is right too, even if he really is addressing native speakers or fluent and confident second language learners. Nonetheless, it is where we start going wrong when we overvalue nominalisation or the passive in academic writing, for example, or go to ridiculous lengths to avoid the word “I”. Meantime get the book. There is much good advice on particular writing issues whether in “creative writing” or in more transactional tasks such as essays and reports. Here is a clear explanation of active and passive voice from Purdue University’s excellent OWL pages. Here is a simple quiz on the subject. This explanation from UNC-CH Writing Center is also very good. See also LEO: Literacy Education Online: Active and Passive Verbs. Some of the problems caused by using the passive voice are described by The Guide to Grammar and Writing. Public television can be perceived by some as boring. When its programs are viewed, they seem tedious and cannot be easily understood. The interest of a wide audience is not attracted. This narrowness of appeal is imputed to excessive intellectualism. How can this be supported by a so-called “public” network? These unfortunate sentences should be rewritten: “Many viewers find public television boring because it is too intellectual, a questionable quality in a ‘public’ network.” Most of us have a natural desire to avoid straightforward assertions like this because they bring on us the burden of controversy. Good writers distinguish themselves by their willingness to accept that burden. This article also explains legitimate use of the passive. Comment has been turned off because of spam commenting. Please use the guest book. Comments Off on Overusing the passive voice? I was asked this question by a Latin teacher at Sydney Boys High — yes, they still do Latin! — looking for resources for her class which was over 80% language background other than English, mainly of Chinese background. I found this rather good summary on a German English-language site. BBC English was asked a very similar question: Rasanka Saroshini Nissanka from Sri Lanka asks: “Please explain to me all about direct and indirect speech.” Here is the answer! This page brings together some tests and quizzes on Reported Speech. This is another summary of the Latin way of doing Indirect Speech: Ohio State University: Department of Greek and Latin. 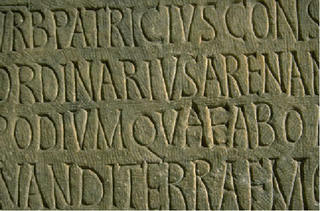 Visit the Online activities for the Cambridge Latin Course. Comments Off on What happens to tense in Indirect (Reported) Speech? How can I improve my writing so that it meets the criteria for Bands 5 and 6 in English? While I can’t guarantee success, I can guarantee that the things on these pages may help you achieve a more impressive and sophisticated style, so long as you practise essay writing enough. Look in Student Help (see links on the right) or in the side bar for a site that may address your writing problems. Sentence Combining is one technique you can practise as part of developing a more sophisticated style. It is more popular in American schools, but deserves looking at here too. One characteristic of successful English students is mature style. As you read your assigned texts, as well as whatever leisure material you have time for, occasionally stop to notice how the sentences have been constructed. But do more than notice what’s already out there. You need to practice combining sentence elements to create your own sentences. Here is a technique that thousands of people have successfully used to upgrade the quality of their prose: sentence combining. 1. Freud’s ideas were rejected at first. 2. They later came to attract a number of highly original thinkers. 3. These thinkers elaborated his views. 4. They also often disagreed with him. Though rejected at first, Freud’s ideas later came to attract a number of highly original thinkers who elaborated on his views even if disagreeing with him. 2. American soldiers came together with Russian soldiers. 3. These soldiers were triumphant. 5. They did this on the banks of the Elbe River. 6. They were in the heart of Germany. Study these sentences. Each one shows a different way of combining a number of kernels into one sentence. How many of them do you use? Experiment with the sentences by trying to rewrite each one with the parts moved around. What is the effect? There is no need to worry too much about the technical language used in the headings; you will find different sites sometimes use different terminology. Just concentrate on the sentences themselves. 1. He drove away, wishing us success. 2. He drove away, angered at our unwillingness to accept his proposal. 3. I fell to the ground, hitting my head on a concrete slab and losing consciousness. 4. Stumbling awkwardly, Henry came into the room. 5. Polished to perfection, David’s speech was the hit of the convention. 1. Mrs. Kombs knitted without looking, a fine sweat cooling her brow. 2. The bull looked at him, eyes piercing, horns pointing straight ahead. 3. The day was cold, a frozen sleet covering the ground. 4. She continued her work, her confidence renewed by her supervisor’s well-timed praise. 1. The old man, bent and withered, was bullied by the big nurse. 2. The horse raced around the corral, wild-eyed and lathered. 3. Just then Clara, red-haired and giggling, flew into the room. 4. Her father, a tall, stiff, strong-willed man, had driven over 1000 miles to see her. 1. He ran head-on into the punch which caused his vision to blur and his ears to ring. 2. Tommy Smith, who was a childhood friend of mine, dove into a vat of beer and died a happy man. 3. Used car salesmen really do care about their customers who don’t have much money. 4. Wendy drove to her friend’s cabin, which was on the shore of Flathead Lake. Sentence Varieties and Types is very thorough and quite advanced. For senior students mainly. Then read: Sentence-Combining Skills: very thorough explanations followed by tests. Sentence Clarity and Combining is a Powerpoint presentation from Purdue University. This is great for Year 10 up, perhaps some in earlier years too. WARNING: It is American, so you get “dove” as the past tense of “dive” for example. When negotiators compromise, they agree that each gets something out of the solution even if nobody gets everything. Sentence Combining Practice: Goldilocks and The Three Bears. The Write Place: This page was written by Sharon Cogdill and Judith Kilborn for the Write Place, St. Cloud State University, St. Cloud, Minnesota. You will find many FAQs answered there, not just the present one. If you scroll down you should especially check the sections on how to improve the sound of your sentences, and the “What if my first language is not English?” section. This is what it says on Subject-Verb Agreement for example, and I know that is still a problem for many of you. Many student writers do not use them all effectively. This list comes from Five Minute Workshops on Cohesion (University of Missouri-Columbia.) A more detailed list is here. The ancient Egyptians were masters of preserving dead bodies by mummifying them. Basically, mummification consisted of removing the internal organs, applying natural preservatives inside and outside, and then wrapping the body in layers of bandages. This process was remarkably effective. Indeed, mummies several thousands of years old have been discovered nearly intact. Their skin, hair, teeth, nails, and facial features are still evident. Their diseases in life, such as smallpox, arthritis, and nutritional deficiencies, are still diagnosable. Even their fatal afflictions are still apparent: a middle-aged Egyptian king died from a blow to the head; a child-king died from polio. To show addition –again, also, and, and then, besides, equally important, finally, first, further, furthermore, in addition, in the first place, last, likewise, moreover, next, or, still, then, too. To compare –also, in comparison, in the same way, likewise, similarly. To contrast –although, and yet, at the same time, but, conversely, despite, even so, even though, for all that, however, in contrast, in spite of, nevertheless, nonetheless, notwithstanding, on the contrary, on the other hand, otherwise, regardless, still, though, yet. To give examples or intensify –after all, as an illustration, certainly, even, for example, for instance, indeed, in fact, it is true that, namely, of course, specifically, that is, to be sure, to illustrate, to tell the truth, truly. Comments Off on How can I improve my writing so that it meets the criteria for Bands 5 and 6 in English?